Don't miss The Primer Group's another Bodega Sale happening on on September 14-17, 2017 at Young Women’s Christian Association (YWCA) Gym. 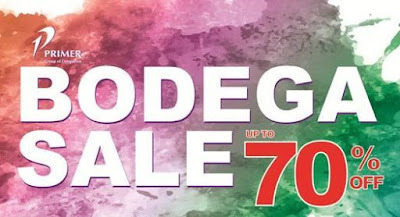 Get up to 70% off from your favorite brands! 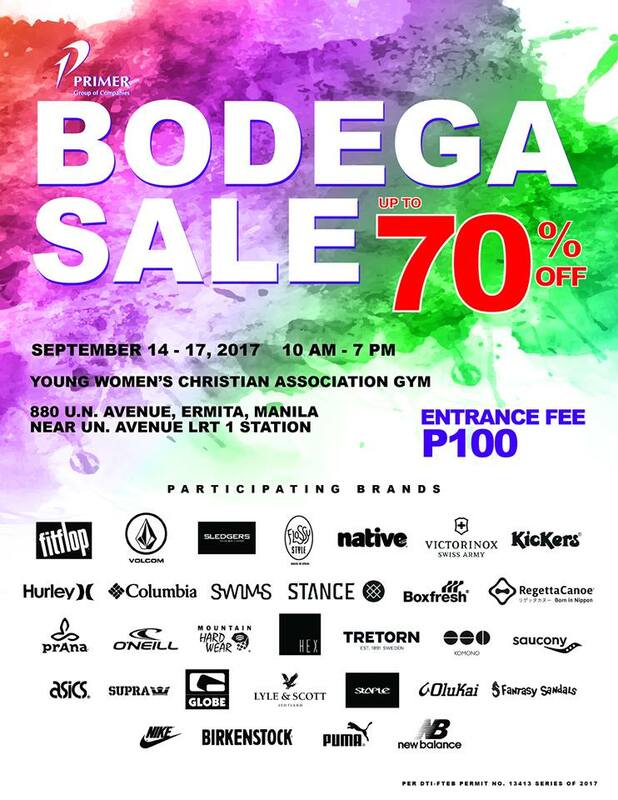 Participating brands: Fitflop, Volcom, Sledgers, Native, Kickers, Victorinox, Hurley, Columbia, Stance, O'Neill, Tretorn, Saucony, Nike, Asics, New Balance, Birkenstock, Supra, and more!